Have those arguments studied the last seven presidential elections? Just one GOP nominee has received a popular vote majority since 1988. George W. Bush got 50.7% in 2004. 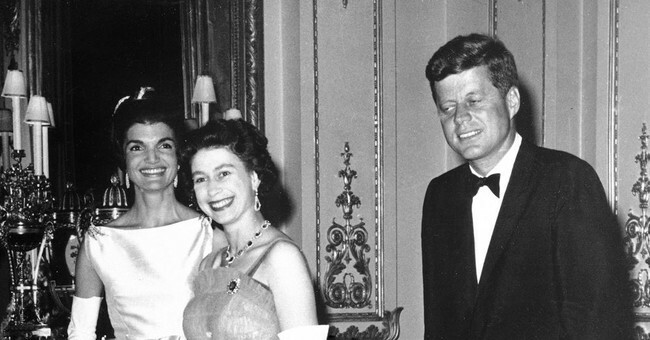 Well, JFK had skin in the game, too. He clearly understood that his future election would be a close one. And if Daddy’s friends could deliver Chicago, he’d get Illinois’ EV’s. It would make things a lot easier for candidates. They just have to visit the few important large states where the race is close and can ignore everyone else. Not much money will be spent in those little states. The only reason a candidate might show up is to put in a good word for some locals who are in a close race. JFK would not be a Dem today. He’d be a a RINO today. Neither a nation, much less a republic, as large as the United States can long survive as a nation on mere “national popular vote” majorities by which the interests of majorities of the distinct regional parts that make up the nation are disrespected, discarded, over ruled, crushed. The “national popular vote” will DIVIDE FURTHER, not “unite” the nation, and only how long it remains a nation will remain in doubt, not that it will survive - it won’t. Rino hell, he’d be to the far right of almost every repub who ran in the 2016 election. You see little Marco as more conservative? Jeb? Fiorina? Or McCain, W Bush, Romney etc? Saint Jack was genuinely worried about truth and justice and fairness -- either that or he was worried about the loss of Demwit control of the White House and both houses of congress. Thanks Kaslin. The (nine largest) states of California, Texas, Florida, New York, Pennsylvania, Illinois, Ohio, Georgia, and North Carolina add up to 222 votes in the House, and adding in the number of Senators shows the Electoral count at 240. 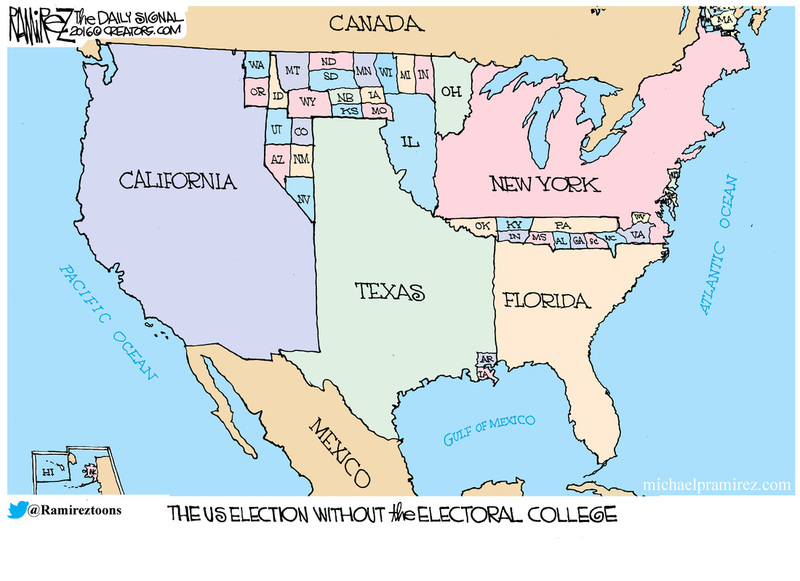 The Electoral College consists not of 535, but of 538 electors -- under the 23rd Amendment of the Constitution, the District of Columbia is allocated 3 electors and treated like a state for purposes of the Electoral College. Because that's an even number (nice amending, asswipes! ), a majority of 270 electoral votes is required. Add in Michigan (13+2) and New Jersey (12+2) and it's just one vote short of the 270. Add Virginia (11+2) and ta-dah -- the twelve largest states are enough. The reality is, these twelve states are not going to vote monolithically for the same candidate. NPV (sounds like a sexually transmitted disease, don't you think?) is a state-by-state measure that, when the number of electoral votes reaches or exceeds 270, goes into effect in all states which pass it. It's been enacted into (so far non-functioning) law in California, Colorado, Connecticut, District of Columbia, Hawaii, Illinois, Massachusetts, Maryland, New Jersey, New York, Rhode Island, Vermont, and Washington. In Delaware it is awaiting the gov's signature, and it was been passed by one or the other house in a few other states.